Ohio born Filipino-American Andrea Loubier, @loubier, CTO of MailBird is launching a private beta of the desktop mail client Mailbird Tuesday next week. 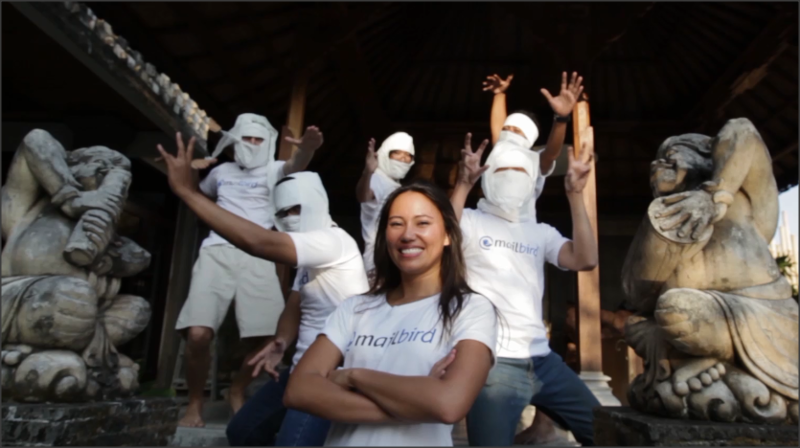 With a team of 10, developers, business people in a hot Bali Incubator, Andrea is looking forward to the launch. Andrea, your the CEO of MailBird, thats pretty awesome! What are you up to theese days? designed for Windows users. I live and work in Bali and love every minute of what I am doing. Today, I am networking like crazy reaching out to the people who care about online communication in our current world of IT overload. Everyday I am inspired by women who are also taking leading roles in the tech startup world, it is awesome. I enjoy life by the beach, surfing, eating great spicy food (I am the queen of spicy food! ), and dancing a lot! What makes me excited most though is working with really talented people from all over the world that totally inspire me. I love being able to be the communicator, the glue that holds our team together, and most of all I love to make people laugh. Right I am facilitating Mailbird’s initiatives in our beta launch plan that has our bird (email w/ bird associations: Thunderbird, Sparrow, hehe) taking off on April 2nd. It is a big day! That is it. That is what I get pumped up to wake up to and what I go to bed dreaming about. So excited to have seen our app go from a mere and far away idea, to a really awesome tool that hundreds of Windows users are emailing with today, among a couple of thousand who are in line to get it April 2nd. During an entrepreneur getaway meetup in Bal, two of our hybrid OS co-founders (Michael & Michael), dynamically working on both Mac and PC really enjoyed their email experience with Sparrow on Mac. They couldn’t find that same experience for email on Windows. Realizing the underserved market of really great UI design on the Windows platform, and the roll out of Window 8’s modern design, a “magical mall application” was born. Mailbird. Sparrow was 10 years into development to get to where they are. 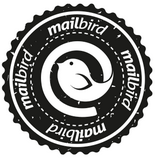 We are just say of 1 year in, and Mailbird is already better. Our team rocks! Release the beta April 2nd- watch that countdown on our website. Looking at it right now and getting more and more pumped up. 6 days 32 minutes and 16 seconds and counting down. Next will be not only continuing to optimize the app by direct feedback from our beta testers, but unravelling the next hot Mailbird features that take email management and hitting inbox 0 to the next level. We’re looking at a unified inbox to manage many different accounts and Wingman. Details and first hands on experience will be exclusive to beta testers. You’ll have to try it to get access! Who knows…we may consider dabbling on mobile platforms, since mobile has become a really great sidekick to native email applications.